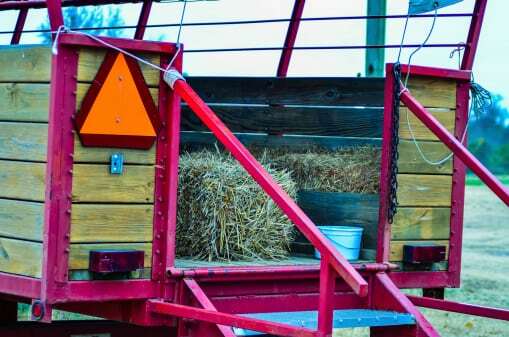 A firm with connections to the farm in Mechanic Falls where a deadly hayride accident recently occurred received 178 vehicle safety violations in the past 10 years, according to records obtained by the Maine Sun Journal. Re-harvest, a company that operates recycling trucks, functions as part of the same corporate structure as Harvest Hill Farms, where the deadly incident took place. The October 11th accident occurred when the driver lost control of the jeep, hit a tree, and flipped over the flatbed truck it was hauling as part of the “haunted hayride.” Cassidy Charette, 17, of Oakland was killed and 22 others seriously injured as a result of the truck accident near Lewiston, Maine. Since 2005, trucks belonging to Re-Harvest have been inspected by the Commercial Vehicle Enforcement division a total of 33 times. The 178 citations that the company received were for problems including leaking oil, missing or faulty axle parts, defective brakes and steering, and malfunctioning horns and headlights. Other citations had been issued for improper securing of loads to the trucks as well as failure to remedy past violations. The supervisor for Maine State Police, who carried out the inspections, said that the safety rating for the company ranks among the lowest in the state. The Occupational Safety and Health Administration (OSHA), the federal organization that oversees work safety, also inspected Re-Harvest and Harvest Hill, administering four citations for safety violations and fining the companies $5,628. According to an OSHA official in Maine, the company and farm were fined for issues including missing handrails in stairways at its warehouse and recycling facility in Portland, workers without hardhats, and failure to follow protocol while operating heavy machinery. A former driver for Re-Harvest came forward recently with allegations that he was fired for voicing his concerns about safety issues. Charles Ramsey claims that the company knew of the safety concerns, but did nothing to remedy them. Moreover, after being pulled over several times for safety violations, Ramsey says that supervisors at Re-Harvest told him to avoid the Maine Turnpike so that he would not be stopped. Ramsey notes that the truck he drove had constant maintenance problems and was cited by the Maine State Police for having faulty brakes, holes in the frame, and bad tires. James Wright confirmed the high number of citations. The owner of Harvest Hills Farms, Peter Bolduc Jr., is also named as the president of Re-Harvest. While the trucking company received numerous safety violations, they would not have prevented him from running the farm as an “agro-tourism” business; such ventures do not require safety inspections or licensing. The Lewiston personal injury lawyers Hardy, Wolf & Downing are deeply saddened by the loss and injuries sustained by so many local residents during what should have been a joyful, seasonal event. We express our condolences to the families of all involved, and hope that the conclusion of the ongoing investigation will help prevent similar losses to the employees and patrons of these companies in the future. For years, our legal team has made extensive legislative efforts to help pass laws that not only protect Mainers from dangerous conditions such as these, but that also ensure fair compensation remains available to victims who are injured . Two partners of the firm serve on the Board of Governors of the Maine Trial Lawyers Association in an effort to further those initiatives. As Maine accident lawyers, we sincerely hope that this tragedy will at least remind voters to elect lawmakers who are committed to preserving our community traditions and tourism without jeopardizing our safety. For now, Hardy Wolf & Downing will continue to do our part toward that end.